338 pages | 124 B/W Illus. The history of China dates back thousands of years, with periods of decline followed by periods of growth and innovation. This book puts the last 50 years – China's most recent period of growth – into perspective. It explores the changing national and international connections within China and between China and other parts of the world, and their importance for understanding the past, current, and future developments of the Chinese economy. 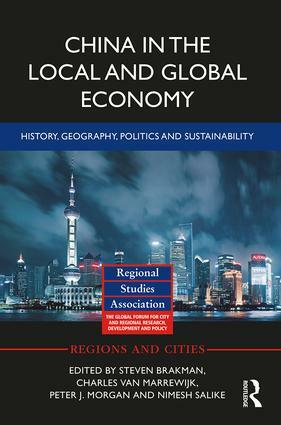 The book brings together leading international contributors from China, Japan and Europe to consider the historical developments of these connections, the importance of natural and man-made connections for the Chinese economy, the role of institutions and policies for understanding the connections and their sustainability. This book will be of interest to scholars and researchers focusing on China, economics, geography or international trade. Steven Brakman is Professor of International Economics at the University of Groningen, the Netherlands. Charles van Marrewijk is Professor of Economics at Utrecht University, the Netherlands. Peter J. Morgan is Senior Consultant for Research at the Asian Development Bank Institute, Japan. Nimesh Salike is Associate Professor of Economics at Xi’an Jiaotong-Liverpool University, China.